Reddit user “Kitsunekinder” has worked hard to bring us an in-depth look at how Destiny 2 kinectic and energy weapons differ. Testing has been carried out in both PVE and PVP modes. Energy weapons do roughly 10% less base damage in the same Impact class/Archetype as their Kinetic counterparts in PvE. Neither Kinetic nor Energy can crit on shields no matter where you land the shot. As someone said in the comments, how can you crit if you’re just shooting a shield? Makes sense! Most Energy weapons do roughly 3.0x base damage to shields no matter where you land the shot nor what element you are using. I tested this across SA, SMG, HC, AR, PR, Scout. Sniper Rifles and Linear Fusion Rifles did 2.0x. This is interesting enough to make a full list on some time in the future to figure out what the best shieldburners are. Matching Element is strictly for the Elemental explosion when the shield is taken down. The Elemental explosion from a same-element Energy shield last hit seems to be irrespective of the weapon used and simply pops for 50% of the total shield amount (measured over many different attempts and weapon types). Elites (yellow-bars) take substantially less crit damge than their red-bar counterparts, but take the same body shot damage. Roughly half as much. So if a Hand Cannon would do 3.0x damage on a crit shot to a red-bar it would only do 1.5x damage to a yellow-bar. Furthermore, Guardians in the Crucible take this halved modifier as well. 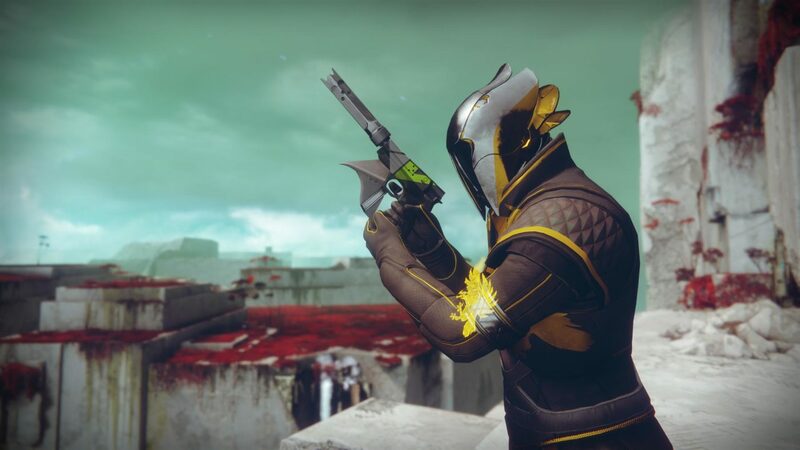 There is no difference in damage between Kinetic and Energy weapons in the Crucible except with regards to damaging Roaming Supers. So when in doubt, use Energy weapons in the Crucible if you’re concerned about swapping fast enough, or just whatever guns you feel most comfortable with. Not shown in the table: Crit modifiers (if you were doing the math yourself up there) are equivalent between Kinetic and Energy counterparts. So there you go, blessed with more knowledge about Destiny 2 and its mysterious ways!